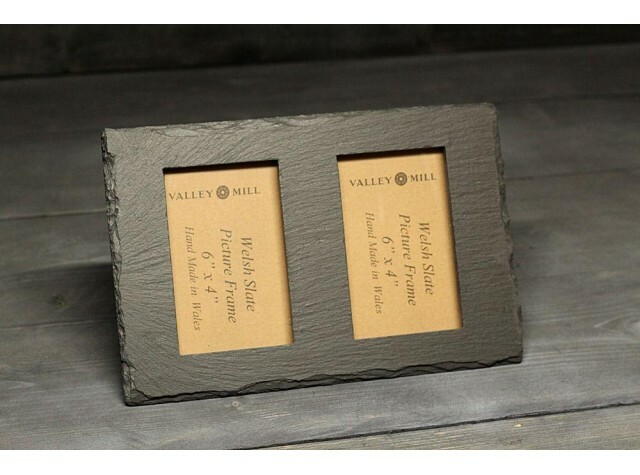 A high quality 6mm thick Welsh slate double picture frame, hand cut and finished.Comes complete with a solid slate rear plinth and wooden rear picture mounts to fit two 6" x 4" photographs and packaged in a gift box. 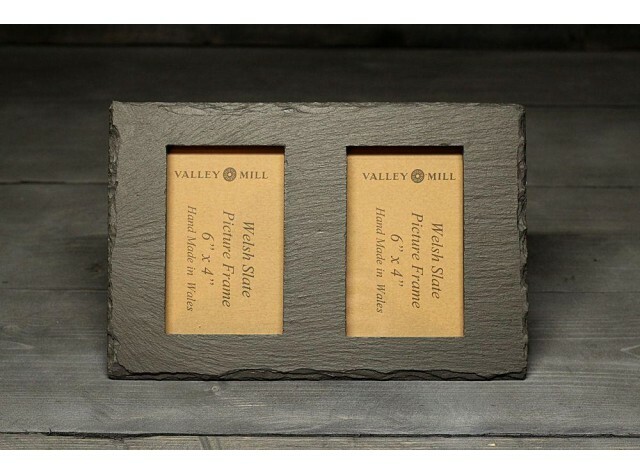 A high quality 6mm thick Welsh slate double picture frame, hand cut and finished. Comes complete with a solid slate rear plinth and wooden rear picture mounts to fit two 6" x 4" photographs and packaged in a gift box.